Cyberwars: Massive Government Surveillance Uncovered! On Friday, Washington DC found itself embroiled in controversy as revelations were made about the extent to which US authorities have been spying on Americans in the last six years. 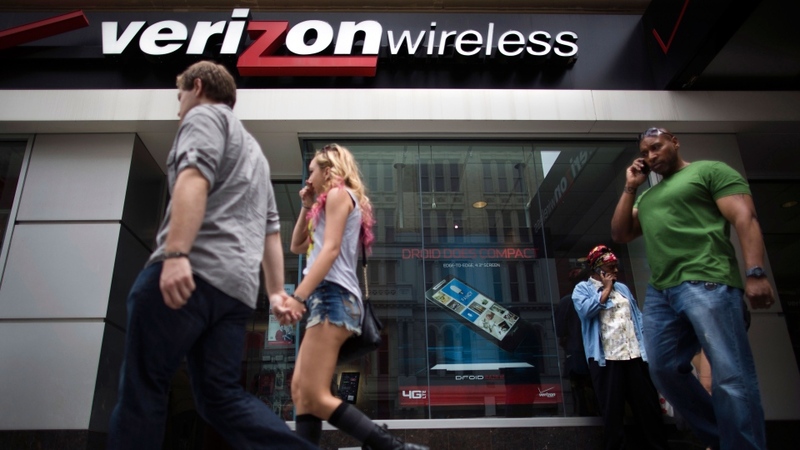 This news came on the heels of the announcement that the federal government had been secretly cataloging all of Verizon’s phone records. No sooner had the dust settled on that revelation that it became known that the scope of the Obama administration’s surveillance programs was far greater than anyone had imagined. 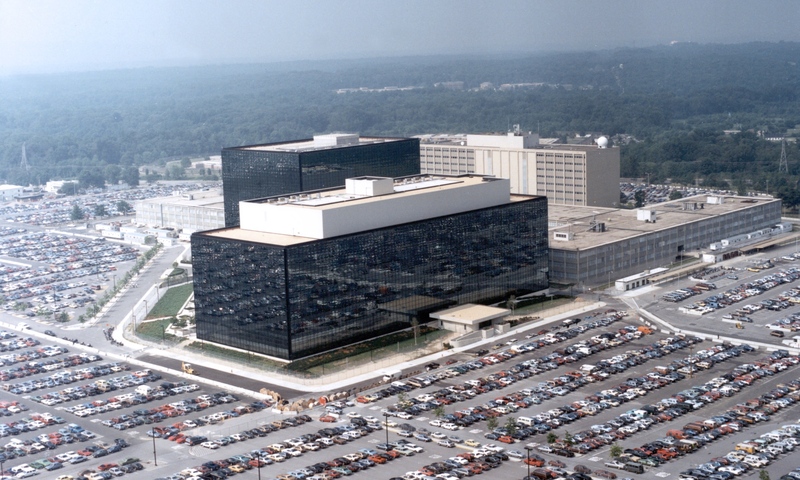 According to updated information on the matter, it is now known that The National Security Agency (NSA) and the FBI have been tapping directly into the central servers of nine leading U.S. Internet companies, extracting everything from audio and video chats, photographs, e-mails, documents, and connection logs that would enable their analysts to track foreign targets. 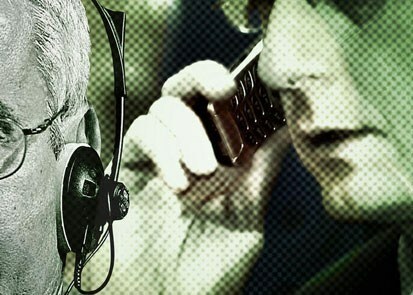 This information was revealed thanks to a secret document that was leaked to the Washington Post, which shows for the first time that under the Obama administration, the communication records of millions of US citizens are being collected indiscriminately and in bulk – regardless of whether they are suspected of any wrongdoing. 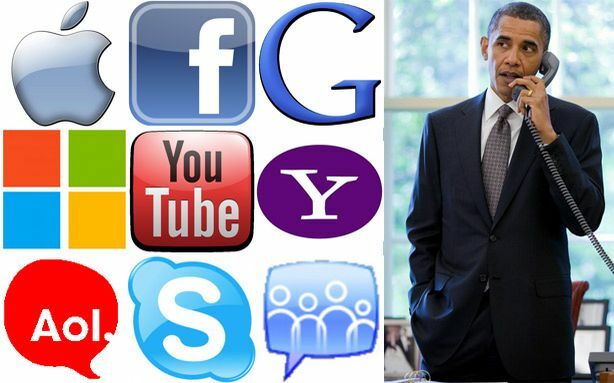 Equally distressing is the names being named: U.S. Service Providers such as Microsoft, Yahoo, Google, Facebook, PalTalk, AOL, Skype, YouTube, Apple. The document further indicates that all of this has been taking place since 2007, when news disclosures, lawsuits and the Foreign Intelligence Surveillance Court forced then-president George W. Bush to look for new authority to justify his program warrantless domestic surveillance. It’s continuance and expansion under Obama has created a great deal of understandable intrigue, and not only because of promises made that “illegal wiretapping” would not take place under his watch. 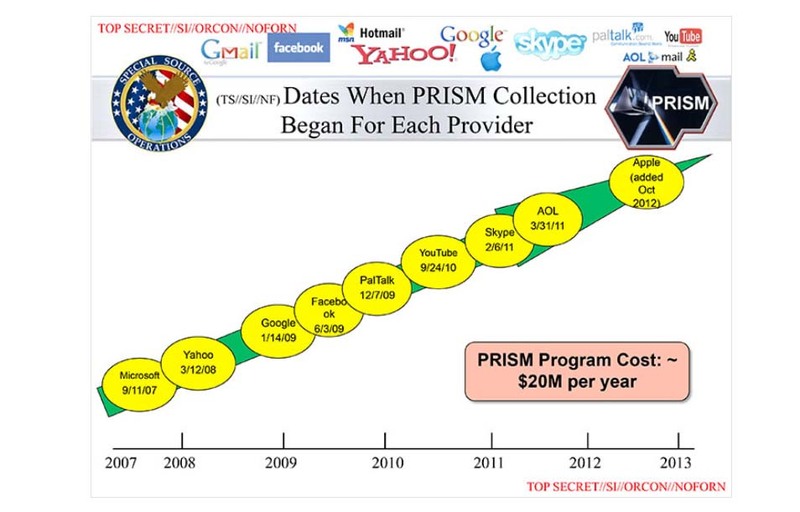 The joint FBI-NSA program responsible for mining all the data is known as PRISM, and it may very well be the first of its kind. While the NSA and FBI have a long history of monitoring suspects via phone records and computer activity, and are both accustomed to corporate partnerships that help it divert data traffic or sidestep barriers, such a vast program has never before been possible. In the current information age, there is an immense wealth of information out there, and where better to access all of this than in Silicon Valley? Not long after the news broke in Washington, London’s Guardian reported that GCHQ, Britain’s equivalent of the NSA, also has been secretly gathering intelligence from the same internet companies through an operation set up by the NSA. According to the same leaked information, PRISM appears to allow the GCHQ to circumvent the formal legal process required in Britain to seek personal material such as emails, photos and videos from an internet company based outside of the country. But perhaps worst of all is the fact that this process is entirely above board, at least for the companies involved. Back in 2007, Congress passed the Protect America Act, and then in 2008 followed it up with the FISA Amendments Act, both of which immunized private companies that cooperated voluntarily with U.S. intelligence collection against prosecution. And late last year, when critics in Congress sought changes in the FISA Amendments Act, the only lawmakers who knew about PRISM were bound by oaths of office to hold their tongues. An anticipated, a bi-partisan amalgam of Senators came out to defend the initial reports of phone record monitoring shortly after it was announced. 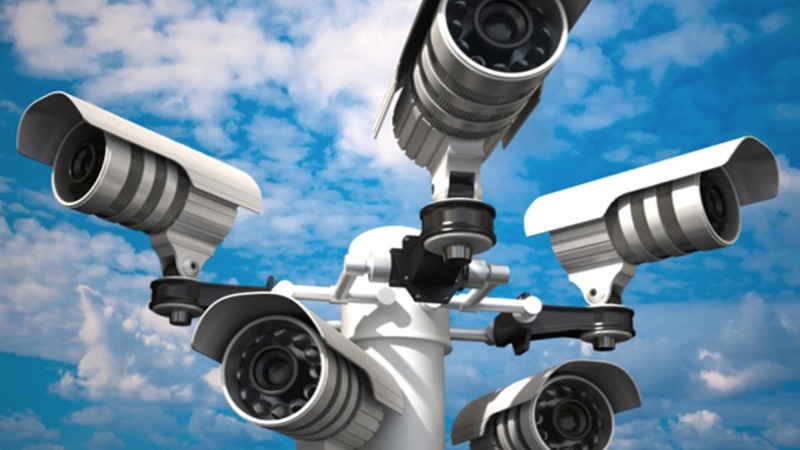 In a rare display of solidarity that cut across party lines, Democrats and Republicans from both the Senate and House came forward to say that the program was justified, only spied on terrorists, and that law-abiding citizens need not worry. Once again, the argument “if you’ve done nothing wrong, you’ve got nothing to fear” finds itself employed by people who do not want to voice criticisms about a government spying program. Echoes of the Bush administration and McCarthy era all over again. Needless to say, all of this has many people worried, not the least of which are people opposed to government intrusion and the protection of privacy for the past decade. Ever since it became possible to “mine data” from numerous online digital sources, there has been fear that corporations or governments might try to ascertain the habits and comings and goings of regular people in order to effectively monitor them. For some time now, this sort of monitoring has been somewhat benign, in the form of anticipating their spending habits and using targeted advertising. But always, the fear that something more sinister and totalitarian might emerge. And with the “War on Terror”, the Patriot Act, domestic warrantless wiretapping, the legitimization of torture, and a slew of other crimes the Bush administration was indicted in, people all over the world have become convinced that “Big Brother” government is just around the corner, if indeed it is not already here. The fact that such processes have continued and even expanded under Obama, a man who originally pledged not to engage in such behavior, has made a bad situation worse. In many ways, it demonstrates that fears that he too would succumb to internal pressure were justified. Much as he was won over by the Pentagon and CIA to continue the war in Afghanistan and UAV programs, it seems that the constellation of FBI and NSA specialists advising him on domestic surveillance has managed to sway him here as well. One can only hope that this revelation causes the federal government and the Obama administration to reconsider their stances. After all, these are the same people who were convinced to stand down on the use of UAVs in oversees operations and to take measures that would ensure transparency in the future. We can also hope that the NSA and FBI will be required to once again have to rely on the court system and demonstrate “just cause” before initiating any domestic surveillance in the future. Otherwise, we might all need to consider getting our hands on some stealth wear and personal cameras, to shield ourselves and create an environment of “sousveillance” so we can spy on everything the government does. Might not hurt to start monitoring the comings and goings of every telecommunications and Silicon Valley CEO while were at it! For as the saying goes, “who watches the watchers?” I’ll give you a hint: we do! 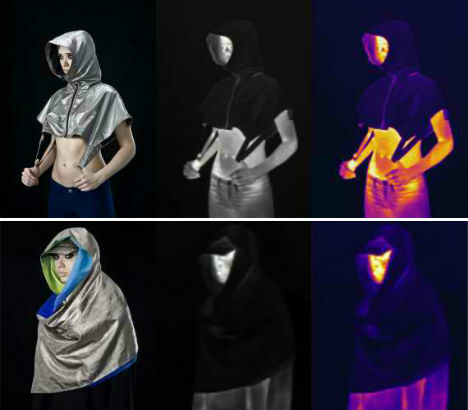 Also, be sure to check out the gallery of artist Adam Harvey, the man who pioneered “stealth wear” as a protest against the use of drones and domestic surveillance. To learn more about sousveillance, the concept of a society monitored by common people, check out Steve Mann’s (inventor of the EyeTap) blog. Don’t remind me about this. I’m already jaded enough with my gov’t as it is. Yeah, but you’re a worry=wart! I included that part at the end hoping it would look a little sunnier, but I think upon re-editing it got buried in some gloominess. Thing is, I remember that this is Obama, the man who said he was going to stop with the drone program as it was running and open it up in a sane and sensible way. I got to believe he’ll do the same here. That’s what people voted him in for, after all. Lobbyists and small security concerns can’t have the same hold over him we do! Until things clear up though I’m trying to avoid thinking about it. It’s kind of depressing, in a way. You think the guy you voted for is above board, and then he’s…doing stuff like this.